Bet365 is one of the most respected bookmakers in the world. It is widely known for its big-budget advertising campaigns and competitive odds across every major sport. 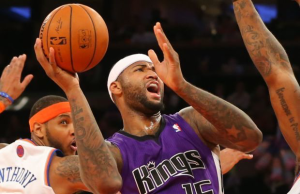 It also offers live streaming of many sporting events. Denise Coates founded Bet365 in the English town of Stoke-on-Trent, from where the company still operates with more than 2000 employees. It also now has an office in Gibraltar where the casino arm of the business is located. The company reportedly has more than 20 million customers in 200 countries across sports betting, casino, bingo and poker. The World Gambling List wholeheartedly endorses Bet365 as a safe, licensed and respected gambling company. Bet365 offers a huge number of sports and racing markets to almost every country in the world. It doesn’t matter if it’s the tennis in the USA, the horse racing in New Zealand, the basketball in Europe or the Australian Football League – it is covered. If we have to pinpoint one thing in the markets offered that makes Bet365 different from its competitors it would be the futures markets for horse racing, greyhounds and harness racing. Bet365 tends to put markets up for more races earlier than other major competitors. What is offered: Horse racing, greyhounds, harness racing, Australian rules, rugby league, rugby union, American football, baseball, basketball, boxing, UFC, cricket, cycling, darts, Futsal, Gaelic sports, golf, ice hockey, motor sports, netball, snooker, soccer, speedway, tennis, volleyball, winter sports, badminton, floorball, handball, Pelota, squash, surfing, table tennis, water polo. Betting on sports that are under way is growing increasingly popular in places such as the United Kingdom, China and Europe. Other countries including Australia have bans on in-play betting on the web, believing it encourages problem gambling and corruption within sports. Bet365 offers live betting on all major sports, including English Premier League football, tennis, cricket, basketball and many others. It has been reported that 50% of Bet365’s profits come from in-play betting, confirming this area is a major focus of the bookmaker. You can bet “in-play” via the internet (as long as it’s allowed in your country) and via the phone. Bet365 has apps available in most countries for iOS (App store) and Android (Google Play) with punters able to back a winner from their mobile or tablet. The app is fully functional and while it is not as modern as those of some of its competitors, it has most of the markets available. 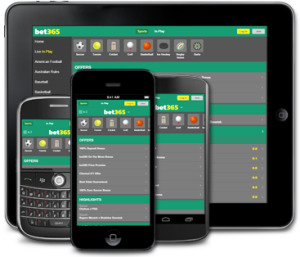 While we believe Bet365 (and most of its rivals) can improve its app significantly, there are no major complaints when gambling with Bet365 from a mobile device. The only minor negative is it can be hard to find certain betting options. For instance, a single football game might have 400 different markets and you are forced to scroll through them to find the one you are looking for. The mobile website functions similarly to the app and has an almost identical interface. Personally, when I’m betting at Bet365 on my mobile I use the website, rather than the app, because I don’t find much benefit having it. Bet365 gives new players a 100% matched bonus up to 200 units of the currency you are depositing. This means you will receive an extra 200 units, on top of your deposit, giving you 400 units in total to bet with. The bookie often offers promotions on events including horse racing and major sports. These could take the form of money-back offers, parlay specials or many other things. One criticism of Bet365’s bonus scheme is it does not offer further bonus bets after the initial deposit, with even the first-deposit 200 bonus lower than that of many of its competitors. In keeping with its global appeal, Bet365 has many deposit options. These vary from country to country, with options such as POLi available only in the countries that company operates in, such as Australia and New Zealand. Popular deposit methods for British punters include Visa, Maestrocard, Entropay and Moneybookers. If you are in a country where Bet365 allows you access to their bookie, but are worried about using your credit card at a gambling website, it is possible to use a web wallet such as Neteller to fund your account. Bet365 also accept bank transfers and money wires as a deposit option. The list: Maestrocard, Visa, Mastercard, Neteller, Moneybooks, Click2Pay, Ukash, Paysafe, Entropay, Cheque, Instadebit, BPay, POLi, Neosurf, iDebit. We are members at this bookmaker and we’re members at many other bookmakers that offer similar services. We are not going to pretend this bookie is head and shoulders above its competitors, or anything like that, because it simply wouldn’t be true. What Bet365 has going for it, though, is the fact it allows players from so many different countries access to its many services. While it is often unwritten, plenty of people talk about the fact Chinese citizens are not on its restricted list, despite the strict gambling laws in their country. For the UK, Australia, Ireland, New Zealand and other countries with many warring corporate bookmakers, Bet365 is a must-have if you are a serious bettor, because seeking out the best odds is the fastest way to potentially increase your profit margin.